The simple and clean air-conditioned accommodation will provide you with a flat-screen cable TV. There is also a refrigerator. Featuring a shower, private bathrooms also come with free toiletries. At Sea Breeze Inn Resort you will find a 24-hour front desk and concierge desk. Other facilities offered at the property include laundry, ironing and luggage storage. The property offers free parking. 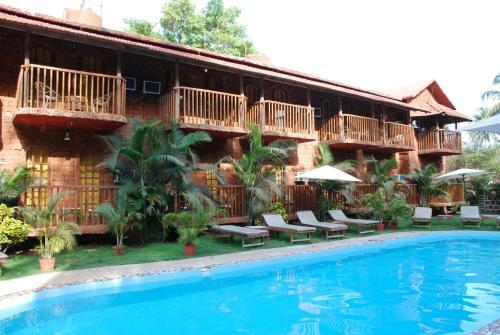 Attractions like the Baga Beach and the ancient Fort Aguada are within 5 km from the property. The Mapusa Bus Station is 12 km, the Thivim Railway Station is 21 km and the Goa International Airport is 45 km away. Guests can enjoy a selection of Indian, Chinese and Continental specialities at Sea Breeze Restaurant while refreshing beverages are served at the bar.